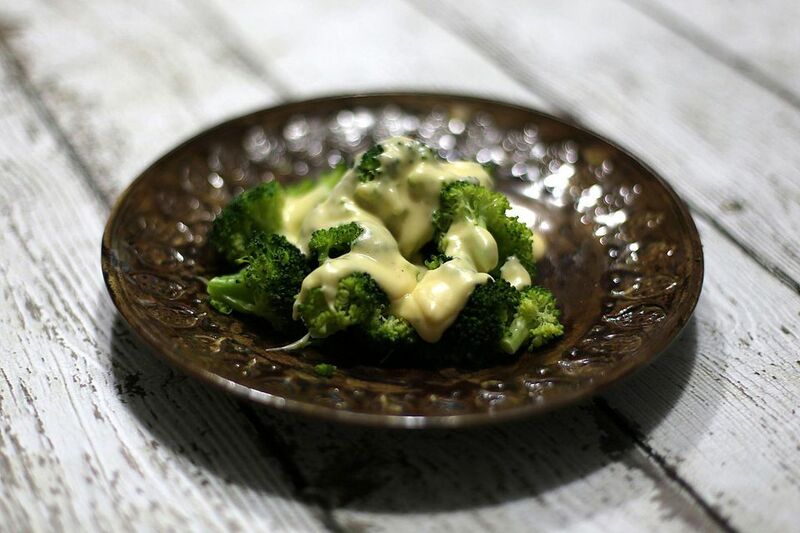 This simple cheese sauce transforms this everyday broccoli into a glorious side dish. You'll have it ready in no time, and your whole family will love it, kids included. To top it off, you can use either frozen or fresh broccoli spears or florets. Steam or boil the broccoli following package instructions. If using fresh broccoli, steam in a covered saucepan over simmering water for 4 to 5 minutes, just until tender. In a medium saucepan or saucier over medium heat, combine remaining ingredients. Heat, stirring frequently, until cheese is melted and mixture is smooth, about 7 minutes. Taste and add salt and pepper as desired. Pour sauce over broccoli arranged on a serving platter or in a bowl, or serve sauce separately.